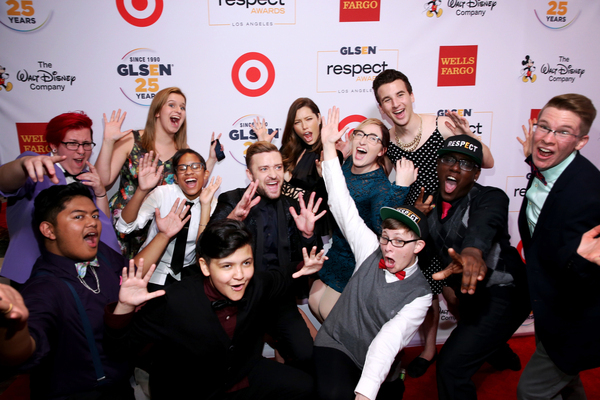 On Friday night, October 23rd, 2015, GLSEN awarded Justin and Jessica Biel with the "Inspiration Award" for their long-standing commitment to improving the lives of children and as being vocal supporters of the LGBT community, using their profiles to raise awareness amongst fans and advocate for positive changes. GLSEN, which stands for the Gay, Lesbian, & Straight Education Network, is an organization that seeks to end discrimination, harassment, and bullying based on sexual orientation, gender identity, and gender expression in K through 12th grade schools in the US. The award was presented to the couple by Joe Zee, acclaimed stylist and Editor and Chief of Yahoo Style. When accepting the award, Jessica thanked the organization "for everything that you do to ensure that the individuality of every kid that is lesbian, gay, bisexual, transgender is respected, protected, and treasured in our schools." Said Justin, “Even with all the trouble in our world today, this movement clearly is winning and is going to keep on winning. Thank you for starting a trend, a change. A change that one day will make it possible for our own son to grow up and thrive in a world where … all he has to do is just be himself.”"